Lydia Goral passed away Friday, May 18, 2018 peacefully in her Munster home among family, friends and her loving husband of 68 years, Marian Goral. Lydia was born July 7, 1927 to Ludwig and Marianna Kissor in the town of Trokele (near Wilno) Poland. Lydia was one of four children, one sister and two brothers which all proceeded her in death. Lydia met Marian after World War 2 in London where they both worked in a manufacturing company. They were married in London on June 11, 1950. They immigrated to the United States in 1956 to be close to Marian family. The Goral family all settled in East Chicago Indiana. Lydia worked at Rand McNally for 18 years before retiring to become a fulltime home maker. Lydia’s passion was gardening. You could always find her in the backyard meticulously maintaining her garden. If you ever had a question about how to take care of any plant she was the one to ask. Lydia was also a wonderful cook, she made the best pierogi’s in town. She was a friendly, loving, compassionate faith-filled woman who will be greatly missed and fondly remembered. 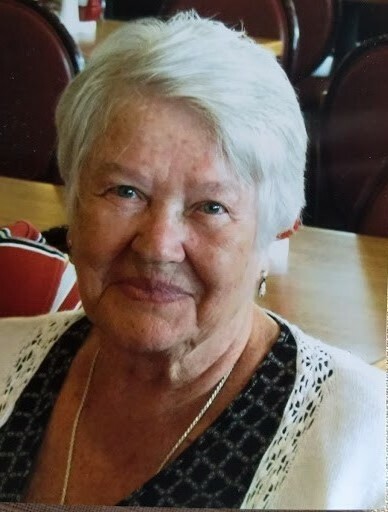 Lydia Goral was a parishioner at St. Stanislaus Church in East Chicago for over 50 years but also attended mass at Carmelite Fathers Church in Munster, Indiana. Lydia leaves behind her husband Marian; Nieces and great-nieces in Germany which include Edeltraud Gohr and Wanda Poliwka; Nieces and nephews in the US which include, Hetty and Barb Bohusz, Kenny Goral, Helmut, Zig, and Gobby Goral, Eva Lewandowski, Jerry and Chris Hoffman. Also left behind are sister-in-laws Janina Bohusz and Helen Lewandowski. Special friends, June Wojcik, Danuta Bartoszuk and Lillian Matiukas. A Funeral Mass will be held Tuesday, May 22, at 11am DIRECTLY from The Carmelite Fathers Church, 1628 Ridge Road, Munster, Indiana. There will be a 1 Hour visitation at 10am prior to Mass. A private burial will follow at Holy Cross Cemetery, Calumet City, Illinois. “My heart, the sun hath set. Night’s paths with dew are wet. Sleep Comes without regret. Stars rise when sun is set. All’s well. God loves thee yet. Heart, smile, sleep sweet, no fret” (W.A. Quayle).